Valve's new Steam Greenlight puts new indie games up to a popular vote. Ever since Valve vastly extended the number of third-party titles offered on Steam back in 2006, indie games have had a bit of a tough time joining the party. While winners of the Independent Games Festival usually make an appearance, the sheer volume of indie titles out there divided by Valve's limited validation resources means a low percentage make it to the popular distribution platform. 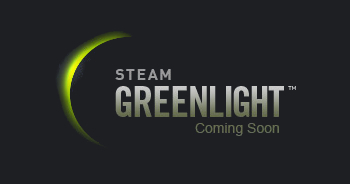 That's going to change soon though, with Valve's new community-rating service for indie games called "Steam Greenlight." Set for launch in August, Steam Greenlight will allow indie developers to upload information about their game - including a video and at least four images - for the Steam community to vote on. The process and technology for the new service are based on Steam Workshop, which was released in October 2011 to help publish user-created game mods and other content. Valve states in its FAQ page about the new service, "We know there is still a lot of room for improvement in making Steam distribution easier and faster; this is just a first step in that direction." Screenshots released of the program indicate that, like the beloved Lego Cuusoo which brought Minecraft Lego to life, Steam Greenlight is set to require a minimum number of votes to bring a game to Steam. However, Valve states that games on Steam Greenlight don't have to get a certain number of votes or ranking to qualify for Steamification - they just need to be "getting traction." There's no expiration date either, so games can stay up on the service as long as the developer wants. Entry to Steam Greenlight is also easy - there's no planned pre-verification process, so all a developer needs to do is own at least one Steam game themselves and they can submit games for instant public voting. Valve is encouraging developers to submit their games early in the development process to, as its FAQ states, "get great feedback and a good start in building a community of fans." Games early in development can be submitted as 'concept' pieces, while more polished ones go up as 'playable games.' Only developers can submit games for review though, so if you want to see your favorite indie game up on Steam Greenlight you'll have to ask the original developer to make an entry.